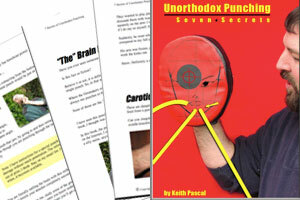 Did you know that a several of my punch ebooks got their start as articles in this free punch harder and faster newsletter? That means that subscribers at the time got to read most of the information at no charge. When each product was created, I offered the polished copies to my subscribers at a fraction of the regular price … since they had seen about 70% of the information without photos, in an ezine format. Well, after all these years, the Punch Harder and Faster newsletter is still going … and you still get to preview articles before (and if) they make it to print. Did I mention that if you sign up now, you get a free copy of Devastating Punches (Seven Secrets)? And don’t worry … we don’t spam our subscribers. 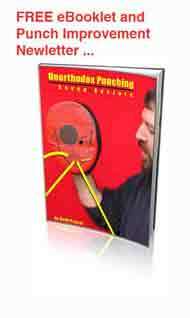 You get quality information, interspersed with good-deal offers that will help you improve your punches. Emphasis on the free martial-arts articles and reports.